Impact noise occurs when an object collides with another object, and you usually hear it from the floor above you. Examples include footsteps, a chair sliding across a wood or tile floor, or an object falling on the floor. 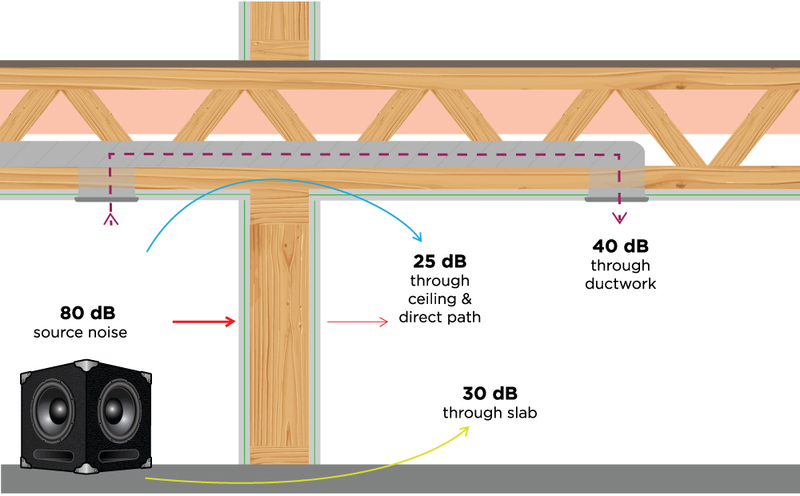 Impact noise travels freely through a structure and through air pockets. 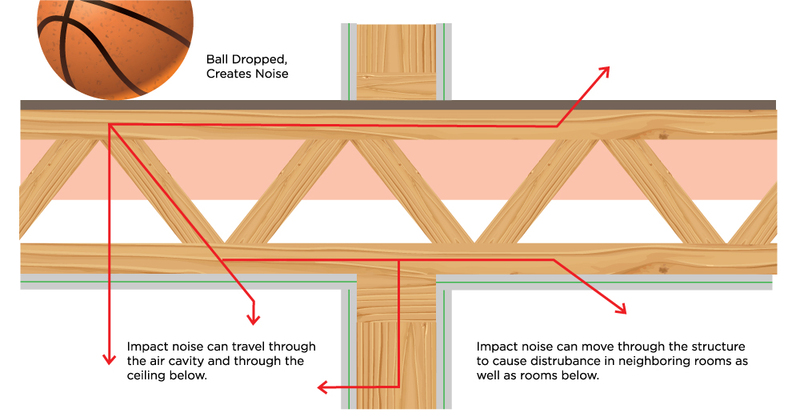 The diagram below illustrates all the pathways that impact noise travels through when a ball hits a bare floor. Impact noise occurs when an object collides with another object, and you usually hear it from the floor above you. It could be footsteps, a chair sliding across a wood or tile floor, or an object falling on the floor. Impact noise travels freely through a structure and through air pockets. Vinhedo was created in 1968 and joined SEPR in 1996. Linyi Saint-Gobain Refractory was created in 2005 (Joint Venture). SEPR Italia was created in 1960 and joined SEPR in 1971. SEPR Le Pontet is rich from its long history as it was created in 1947 and hosts the world headquarter of SEFPRO. Saint-Gobain TM K.K. is proud of its long tradition of excellence in producing advanced ceramic materials (Fused Cast Refractories) for various applications, extending from our establishment in 1966. Our advanced ceramic materials have evolved over our almost 50 years of experience in providing successful material solutions for a variety of industries.